Have you tried Route 11 Potato Chips? Oh my gosh are they delish! Believe it or not - this potato chip company is only a half an hour away from my house and the first time I had their chips was about two months ago! How did I not know about this crunchy deliciousness all my life?????? 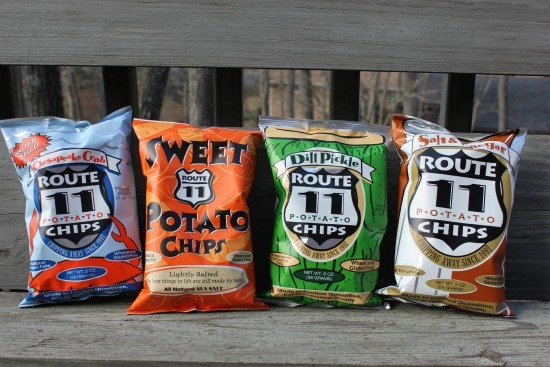 Route 11 Potato Chips offer fabulous flavors like Dill Pickle, Yukon Gold, Chesapeake Crab, Sweet Potato and Mama Zuma's Revenge. Of course they have the classics like Barbeque, Lightly Salted and Sour Cream and Chive too. Sweet Potato is my fav!! 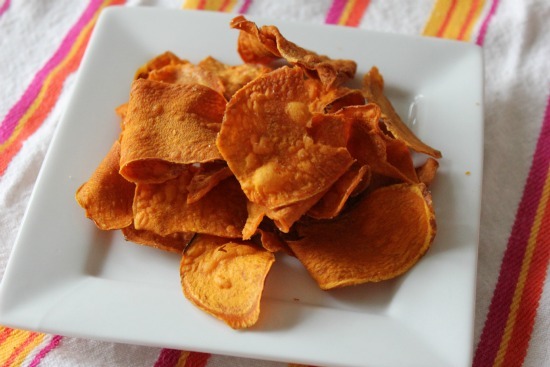 Potato Chips are a nice treat for a snack or to add some crunch to go along with you sandwich for lunch, but did you know you can crush them and use them as breading for chicken too? Give it a try - it's delish! 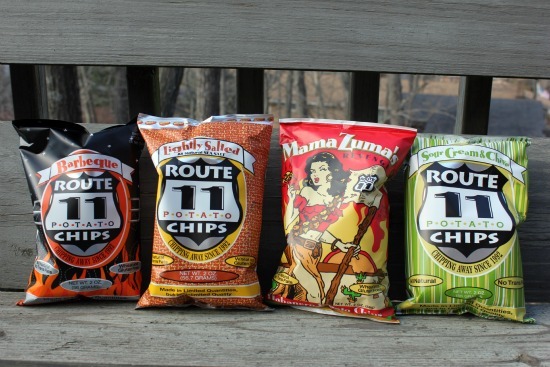 Click HERE to find out where you can find Route 11 chips and follow them on Facebook too. In a shallow bowl whisk the milk and egg together. In another shallow bowl, combine the crushed chips, parmesan cheese, basil, salt and pepper. Dip the chicken breasts into the milk mixture and then dredge in the potato chips. Place on your baking sheet and bake 25-30 minutes or until done. Note - Route 11 Potato Chips sent me the chips for this review, but I was not compensated in any way. i love the dill chips! I love their colorful packaging. We once rode our bikes on a route that went right by the factory. I so much wanted a tour! I loooooooove potato chips!!!!!!!!!! I will search on where I can find them :) Thanks for sharing! !